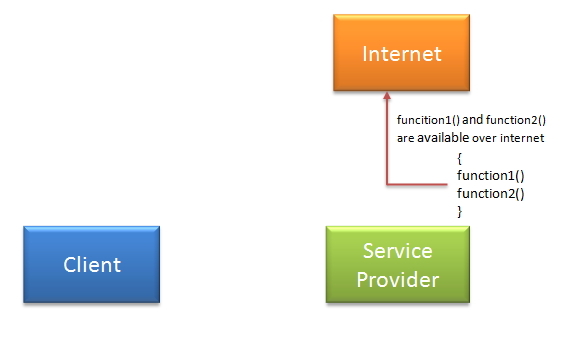 In this post,we will see introduction to SOAP web services. Simple Object Access Protocol (SOAP) is a standard protocol specification for message exchange based on XML. Communication between the web service and client happens using XML messages. So as in above diagram,how client will communicate to service provider.So in order to communicate client must know some information for e.g. Functions available,signature and return types of function. Service provider will create a standard XML file which will have all above information.So If this file is given to client then client will be able to access web service. This XML file is called WSDL. There are two ways to access web service. 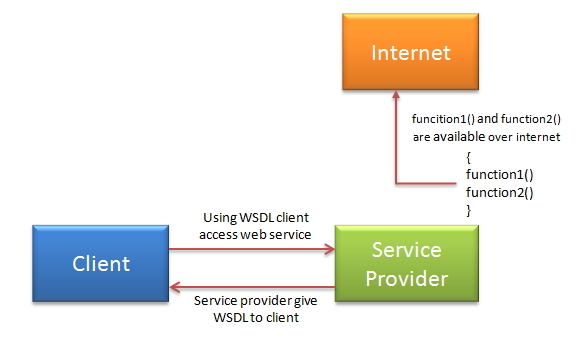 If Service provider knows client:If service provider knows its client then it will provide its wsdl to client and client will be able to access web service. Service provider register its WSDL to UDDI and client can access it from UDDI:UDDI stands for Universal Description, Discovery and Integration.It is a directory service. 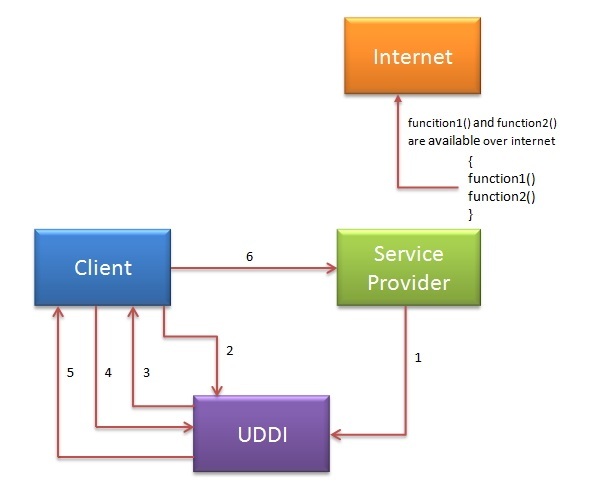 Web services can register with a UDDI and make themselves available through it for discovery.So following steps are involved. Service provider registers with UDDI. Client searches for service in UDDI. UDDI returns all service providers offering that service. Using WSDL of service provider,client accesses web service. In next post,we will see SOAP hello world example in java using eclipse. I got a job with your tutorial. really nice and explanatory post. Way do you say “is called WSDL”? Sorry, I am confused in article. It is about SOAP, WSDL is right. Excellent tutorial. Keep it up. Your WSDL/UDDI description is very concise and understandable – thank you very much. I wish all tutorials were this clearly presented. Great tutorial and easy to understand language. clear explanation…. Thank you so much…. Nice explanation. I was wondering a website, where all the wordings and explanations would be in simple language and easy to understand. Very Good. Now I have a clear idea about Web Service. Nice very easy to understand. it’s simple and easy to learn, so thank u very much!